The community and financial services sectors have come together in a bid to combat financial exclusion which is leaving millions of Australians, particularly women, at risk of poverty, predatory lending practices and poor social, emotional and health outcomes. 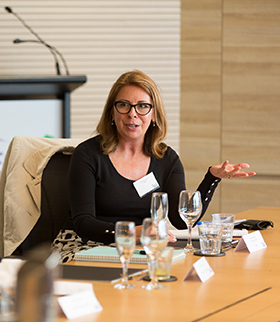 Experts and academics from a range of organisations including universities, charities and community groups attended a roundtable in Melbourne last week to discuss what financial institutions can do to build a more financially inclusive Australia. The event was organised by the $36 billion industry super fund HESTA, one of 12 “trailblazer” organisations to commit to a Financial Inclusion Action Plan (FIAP) program. HESTA CEO Debby Blakey said the event was a chance for them to listen to the experience and expertise of community sector organisations supporting those experiencing disadvantage. “An estimated three million Australians have difficulty paying bills, putting food on the table or accessing basic financial products like a bank account, credit card or insurance,” Blakey said. “A wealthy country such as ours, with a sophisticated retirement system, needs to deliver for all Australians, not just a lucky few. It follows a move by the Australian Government in 2015 to commit to international obligations including the G20 Financial Inclusion Action Plan and the United Nation’s Sustainable Development Goals. Good Shepherd Microfinance is leading the development of the FIAP program, in partnership with the Australian Government, EY and the Centre for Social Impact. 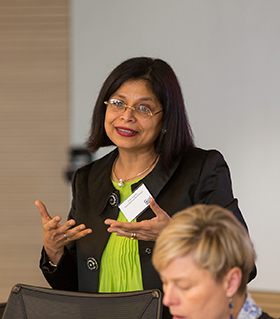 Good Shepherd Microfinance’s general manager advisory, Dr Vinita Godinho, told Pro Bono Australia News financial exclusion was a “wicked problem” with wide ranging impacts. “If people don’t have access to safe, affordable and appropriate financial products and services it actually impacts a whole lot of different things,” Godinho said. “The first thing is that obviously they don’t have the money that they need to build basic assets for a normal stable life, so for instance they don’t have enough money to buy a washing machine or a dishwasher or a fridge or a computer for their child, or repair their car, just the basic necessities that you and I take for granted because we have a steady income and we have access to bank finance or a credit card. Godinho said there were also a lot of secondary effects that resulted from financial exclusion and a lack of resilience. “Having financial difficulties and problems with managing debt leads to mental health issues,” she said. “We also find that it encourages really terrible social outcomes such as domestic violence and financial abuse, in particular for women who very often don’t have the independence of having their own source of money so they are dependent on a partner. Godinho said the issue needed a wide-ranging response. “This is a problem that can’t be solved without a collective impact,” she said. Godinho said by working with different organisations over the last nine months they had identified several areas of actions that organisations can take. “What we are finding is that the actions that they can take to promote inclusion and resilience.. are not just restricted to their clients, they actually apply to their own staff, they apply to their suppliers… as well as the partnerships that they already have with the wider community, so that’s been a real learning for organisations,” she said. “Many of those action areas come as a surprise to people because most people will go with their products and services and say ‘ok how can I develop a product and service’, but not necessarily recognise that they can actually do other things. 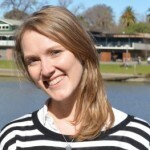 “So they can improve their understanding of why people are excluded in the first place, so invest in research for example… another response that we are finding quite common is providing employment pathways, how are they reducing the gender gap in pay, what are they doing to make sure that people have more economic resources if they’re more vulnerable, superannuation for women, so these have become areas through this program. “We’re also finding that by working across the sectors we’re creating partnerships which they would have never thought of previously. For instance, a university which has huge big data analytics and research capability can actually partner with… a financial service provider to do research which benefits them both. opportunities to develop innovative partnerships with community sector organisations. Brotherhood of St Laurence’s senior manager financial inclusion, Tony Robinson, told the roundtable there were exciting opportunities for the community sector to develop innovative partnerships with superannuation funds. He said the lack of access to affordable home contents and vehicle insurance among low-income earning Australians left many at risk of or in severe financial crisis. “There’s a simple protection product out there for third-party vehicle insurance that costs under $300 a year,” Robinson said. He said the superannuation industry could also help provide further insights into the drivers of financial exclusion by aggregated reporting on the reasons people access their superannuation due to financial hardship. Professor Roslyn Russell, an expert academic on gendered financial inclusion from RMIT’s School of Economics, Finance and Marketing and a member of the Advisory Group governing the FIAP program, said Australia’s superannuation system was designed to cater for the continuous working patterns of men. “We can’t keep putting the burden on individual women to do more, we need to change the (superannuation) system so it works better for women,” Russell told the roundtable. It comes after findings from The Women and Money Survey, which Russell conducted with La Trobe University’s Professor Amalia Di lorio, revealed about a third of women surveyed had no superannuation at all. Russell said the survey showed women felt there was limited access to affordable and unbiased financial advice. “They are stuck in this middle area, as they’re looking for financial guidance but they can’t afford financial planning,” she said. McAuley Community Services for Women CEO Jocelyn Bignold said superannuation funds could adapt strategies used by organisations assisting women experiencing financial hardship and disadvantage. She said organisations working in this space had considerable success at reaching women around pregnancy and birth. “We know this to be a crucial touch point and it’s an approach HESTA could capitalise on in terms of providing financial counselling that can make a big difference to women at this stage of their life,” Bignold said. Godinho said it was great to see different organisations working together at the roundtable to try to solve the problem. “All of us came to the conclusion that it doesn’t make any sense for any of us to work individually,” she said. “Instead of working in silos, we are far better off sharing our ideas and developing partnerships. HESTA said it will use the feedback from the roundtable to inform its ongoing commitment to financial inclusion and will launch its FIAP on 25 November.